The site hot water generation was not able to keep up with peak demand. Identify and resolve the cause of the hot water supply issues. 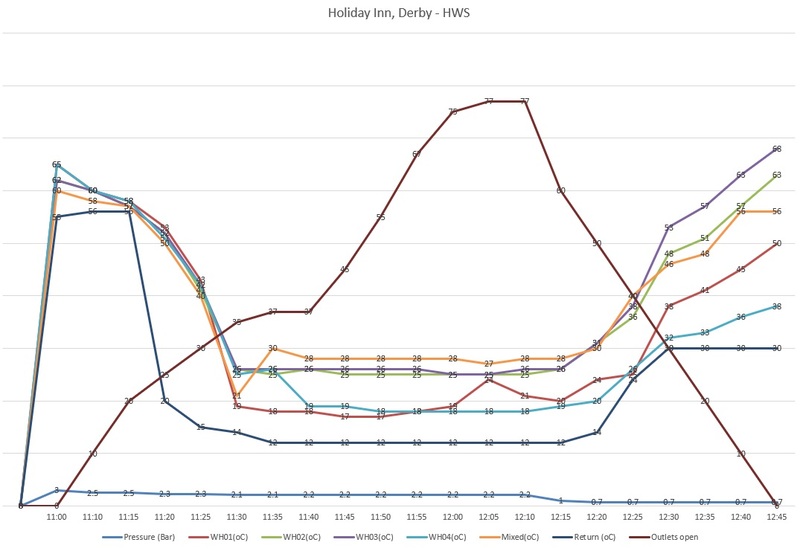 Having established a strong working relationship with Holiday Inn, Horsfield were asked to identify and resolve an on-going issue with the hot water supply to the hotel guest rooms. Several other companies had previously attended site and attempted various changes, all of which had failed to resolve the hot water supply problem. To get a better understanding of the problem, we installed data loggers to record hot water temperatures over a 7-day period. The captured data showed that whilst the hot water supply temperatures appeared satisfactory over the weekend, rapid temperature drops were evident on weekdays. During these weekdays, the hotel was occupied predominantly by business users who were attending conferences locally; most of whom would be leaving at the same time. The hotel has 105 guest rooms and our calculations were such that we would need to supply enough hot water to satisfy 80 rooms using hot water within a 15-minute window. The hotel has four ACV water heaters which store hot water at 80oC and use a thermostatic blending valve to reduce it to 60oC to supply the building, this valve proved to be a bottleneck for the maximum flowrate. 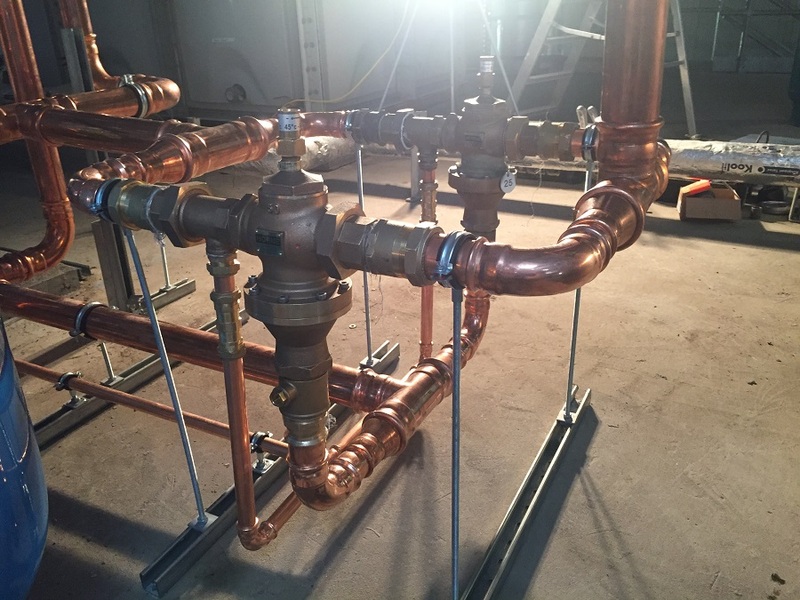 In order to remedy this problem, we proposed to increase the available hot water storage and perform pipework modifications to install an additional thermostatic blending valve; this would enable a greater flowrate to cope with demand. We installed two additional buffer vessels and increased the cold and hot water pipework sizes. As the hotel was to remain live the hot water could only be turned off for 6 hours per day, so the installation was planned over two days. Following the works, data loggers were installed and temperatures monitored over a period of 3 weeks. The pipework alterations delivered satisfactory water pressure to all shower outlets. Thanks for your support on this project which has eradicated an historic guest complaint.